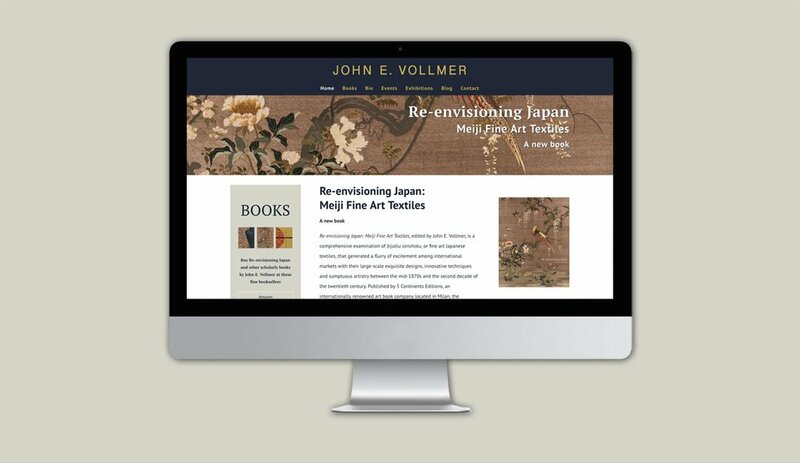 Vollmer Cultural Consultants specializes in textile design and decorative arts programs and exhibits for museums and higher education in the United States, Canada and Asia. John, its president, also writes and edits scholarly books that appeal to academics and design aficionados alike. 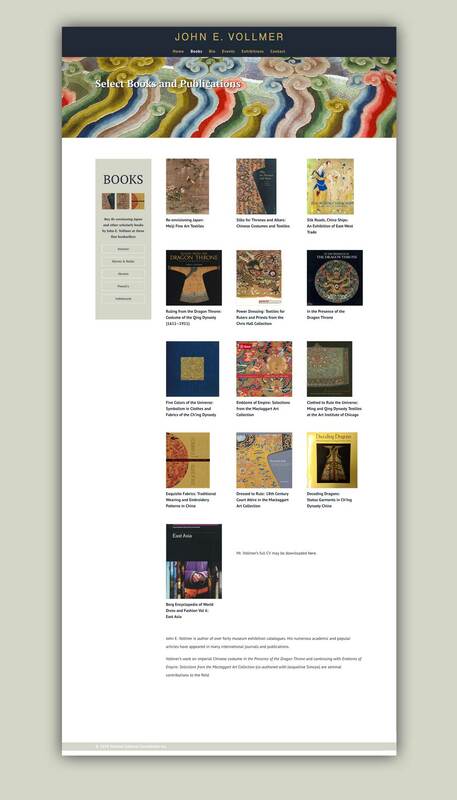 I had the pleasure of creating John’s very first website which showcases his newest book, “Re-envisioning Japan: Meiji Fine Art Textiles” and also a dozen more books to his credit. John has elevated his brand with the beautiful new website and can reach an even wider audience with his spectacular and fascinating work. We organized John’s books in one place with various options visitors can take to make a purchase. Not all of his books are available for sale at each bookseller. So this index is a great way to show fans and friends the breadth of John’s work and where to buy.